A 25-year-old man, kidnapped at Ibadan in October last month, revealed that he was released by the humanity of the underworld. I went to work at Ojoo in Ibadan last week on Monday (September 10, 2018), and on Wednesday I was still in the project to moan an ark in the building, then a man came and told me that he liked the way and later he introduced himself as a civil engineer and asked for my phone number a promise to call and give me a job to do with the building's contracts. 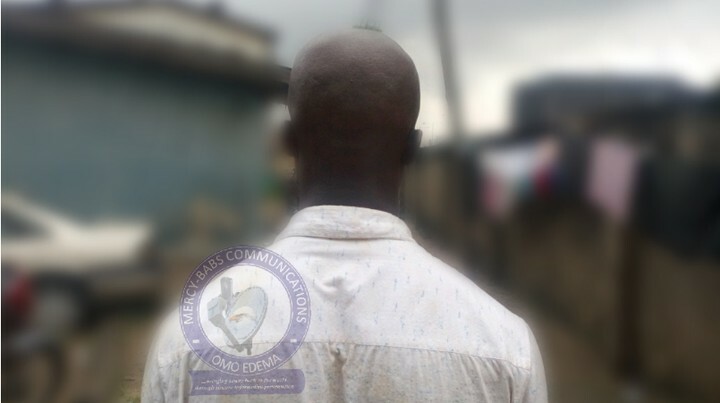 "I live in Ijebu-igbo in the state of Ogun, and I came back home a week, the next Sunday (16/9/2018), the man called me, actually I was in the church when his call came, telling me to come to Imban immediately there was a job for me there I told him I did not have a freight transfer and he said that I had to send his account number to him to credit him with the freight I did, he sent me 2.000.Just as I withdraw the money I was directed to Ibadan. "As I arrived at Ibandan, I called to tell him and told me to wait for him on Iwo's road, so I waited for him in a restaurant there, coming soon, but with another man, and they both came to a Toyota Camry car. another one drove while the engineer was sitting in front of him, they asked me to come back to the car seat, and I asked them about the location of our destination, and I was told that the job was sometime after Ojoo. "About 5 minutes after my entry, the man who was driving the car now asked the engineer if he was sure he could do the job I had to give to me." And his engineer replied that he had seen my job It was at this point that the man at the wheel stretched his hand to me in the back to give me a handshake. "As our palms touched each other, that was the last thing I knew." According to Osinlowo, he got hypnotism through the handshake and before returning to his feelings he was already in the bush. "They took me to a dense bush where there were small rocks like the stools, there was no building there, they sat down on one of the rocky stools, and there was an old woman sitting on the ground very close to me, we heard mixed noise of people on the other side of the mountain I could not say what was actually going on. "On the first day I was not food, but the second day came to feed me. When it was the third day, they came to shave the natural dreadlocks on my head on the scalp with a razor. "In the twilight of the third day, an elderly man came to the point and asked to find out where the face was said to have brought" Foka. "They told him that I was the person, the old man shouted" I get up. "As I did, closer to him and asked them where the hair was shaved from my head, they brought him in. And he saw it was a dead end. "Now he asked me what happened to my head because there was a scar on my head, I told him I was still a little boy when I was injured." Then he further questioned that the scar is aged and told him that the younger brother who was born when the incident happened is now 21 years old. " "The man now confronted the men and told them that he warned them not to bring people to a scar anymore and later told them he could not do anything with me because of the scar on my skull, then left us there and we went." Osinlowo said on the night of the day that the old man rejected him, 2 men came to tie his hands with a rope and his face wrapped in a cloth and dragged into a vehicle. "As they took me into the vehicle, I noticed that the vehicle began to move. After driving for a while, my hands and face were withdrawn later and they soon dropped me from the vehicle on a bridge with a warning that if I get up from where they concealed me, they came back to shoot me. "Immediately their vehicle began to shriek and I started to cry" thief "," thief "but they have diminished. The RRS Police was around the place that told me I was in Lagos. to be able to return home. "